During the Victorian Era, the public developed an unprecedented obsession with the natural world. 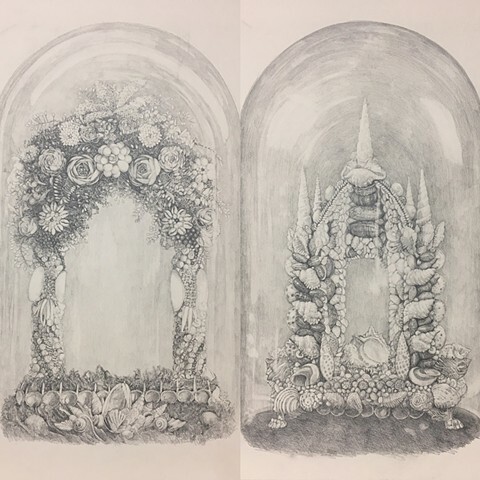 An incredible array of objects were arranged and presented as decorative art under glass domes, including birds and botanical arrangements made from wax and sea shells. Here I made a pair of memorial shell displays for Charles and Marion, made to mimic the types of funerary structures found in Victorian cemeteries.